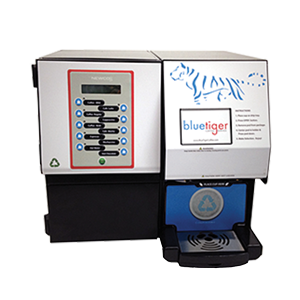 Blue Tiger, a certified TopBrewer partner, is bringing the next level in coffee experience to forward thinking workplaces. 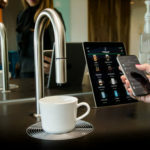 TopBrewer offers sleek, european design, amazing beverage quality and an app controlled interface. 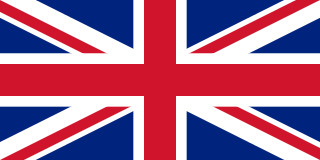 Visit the TopBrewer page to learn more. The Curtis Gold Cup coffee brewer delivers hand crafted flavour every time! This revolutionary machine offers precise control of temperature, time, pre-infusion and pulsing so you can create your perfect cup of coffee. 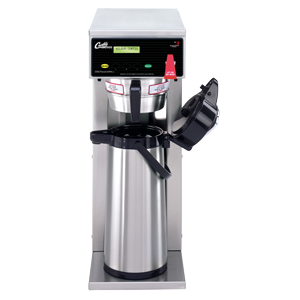 With the Curtis Coffee Brewing System there’s no need for complex brewing adjustments, unless you want them. With simple “scroll-through” programming on an LCD display you can have gourmet taste, without any fuss. 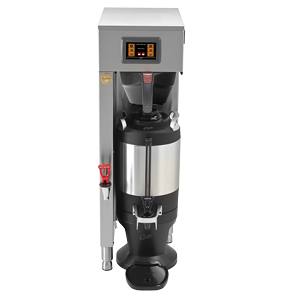 Easily set the brewer to your exacting standards, or use Curtis' factory settings to deliver ideal results. The one-touch preset brew buttons can be programmed with a range of brewing specifications, including pulse brew and pre-infusion options. The brewer includes a hot water faucet, which can be used for soup, tea, or cocoa without affecting the brew cycle. 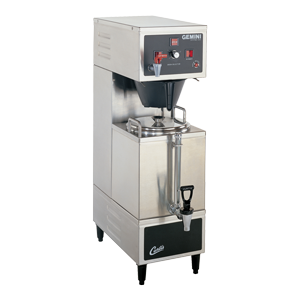 The FETCO CBS-2131 XTS is an easy to use, highly customizable, full-featured extractor airpot brewer. Experience total control of the fully featured extractor brewing system via an inviting touch screen display. An intuitive, icon-driven interface includes features that will streamline brewing operations, and provide fast instructive training. It's brewing made simple. Coffee the way it was meant to be enjoyed – freshly ground. The large two hopper design allows for you to have a varied selection on hand at all times whether that's regular, decaf or specialty beans. 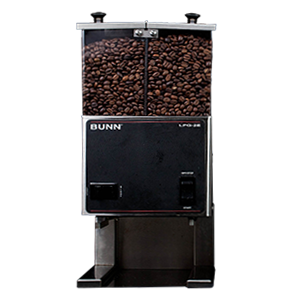 Bunn precision burrs cut, not crush, the coffee beans to deliver a consistent grind every time. Be sure to check out our Bean-to-Cup and Pod Brewers. 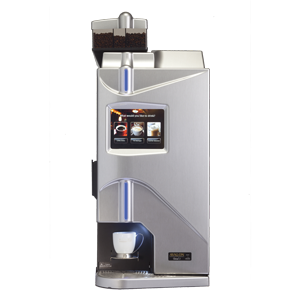 Avalon Total 1 is the most complete coffee kiosk guaranteeing freshly brewed coffee is available 24/7. Ideal for the most demanding coffee programs. 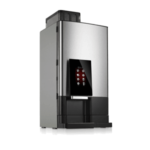 The Avalon Total 1 has 3 whole bean hoppers, 3 soluble canisters, an interactive screen. From bean to cup, one cup at a time. 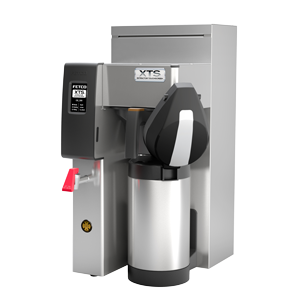 Total Lite’s advanced Whole Bean Coffee brewing technology provides convenient, affordable and flexible solutions to meet the coffee needs of today’s increasingly savvy consumers. The Bravilor Bonamant Fresh Ground has everything you’re looking for! 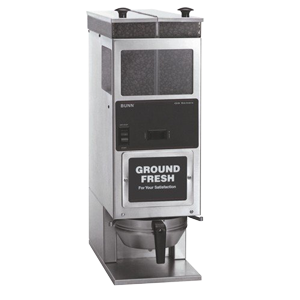 The Fresh Ground enhances the fresh coffee experience with its wide variety of drink options and user friendly, digital controls. Enjoy excellent coffee made from freshly ground beans at any time of the day. 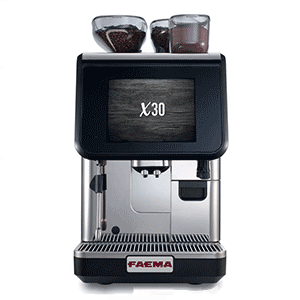 The Faema x30 is a superautomatic espresso machine with an easy to use touchscreen interface. Create cafe quality espresso beverages without the technical skills that are usually needed to pull a great shot. 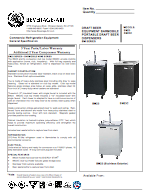 Be sure to check out our Brewer Grinder Combos and Pod Brewers. Get true espresso in the convenience of your break room. Want to simply push a button? We have a machine for that. 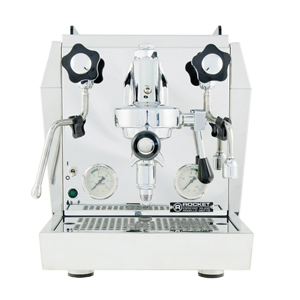 If you desire instead to work your craft on a real espresso machine, we have that too. Check out LaMarzocco for more details. Designed to bring the performance of a La Marzocco machine to the home, the GS3 works equally well in an office setting. 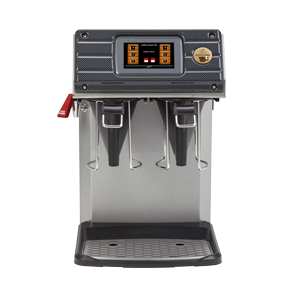 In a surprisingly small footprint, with water reservoir or plumb-in options, the GS3 offers the ability to have hand crafted espresso in almost any break room or office space. 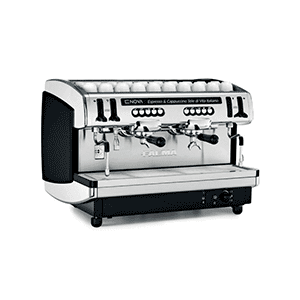 Blue Tiger’s special partnership with La Marzocco allows us to bring the GS3 to your office break room. 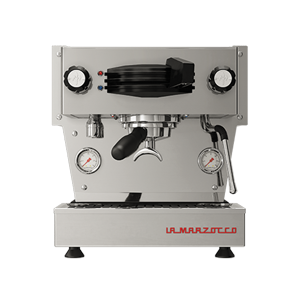 To learn more about La Marzocco or the GS3, visit their website. The Faema Enova is equipped with a specialized patented thermal balancing system to ensure the very best in-the-cup results. 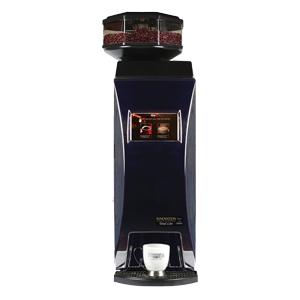 This system allows for the temperature of each group to be easily set according to the type of coffee used. The hot water mixing system improves water quality and allows significant energy-saving. An optional Auto Steam feature gives you perfectly steamed milk every time. An all-time classic. Linea’s stainless steel design and simple clean lines are a icon in the specialty coffee world. 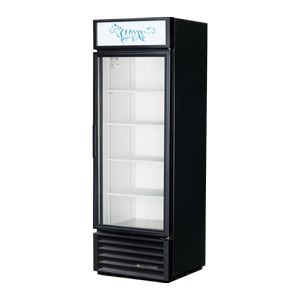 And now you can have the specialty café feel in your break room. 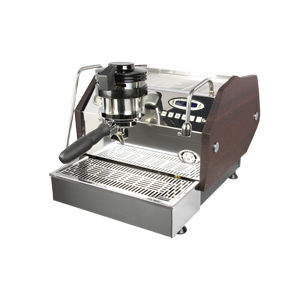 But don’t be fooled by the commercial design, the Linea is as easy to operate as any at home espresso machines. Just with much more power. Commercial feel, compact design. The Rocket Giotto has a full commercial rotary pump for a quieter, more efficient execution. An insulated broiler conserves energy and increases thermal stability. Create café quality espresso in the comfort of your office. 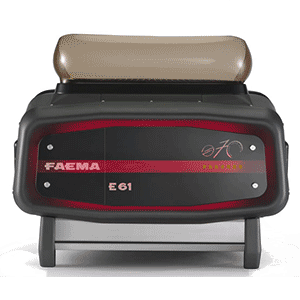 A commemorative limited edition version of the E61, the Faema E61 LE offers innovative technical solutions, pure steel body work and elegant retro designed back-illuminated glass. Visit the Brew Bar page to learn how the program works. Green doesn't have to be complicated. Pod machines offer the same convenience as a Keurig or Flavia machine, but the pods that go in them are 100% compostable and produce a better tasting brew. The Café Xpress brewer is easy to use. 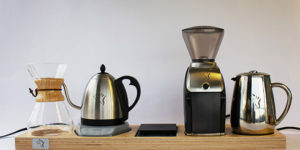 To brew each cup, simply open the pod drawer, insert the coffee or tea pod of your choice, place cup in position and select your desired beverage. 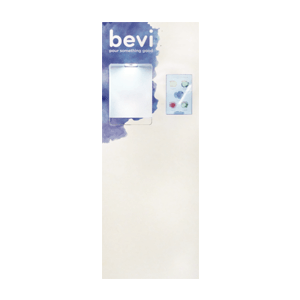 Brew your choice of ten beverages with the push of a button. 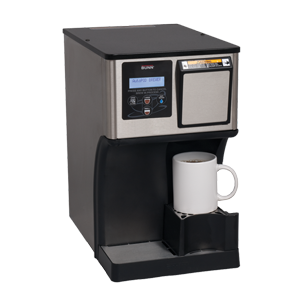 Commercial-grade single-cup system with the convenience of automatic pod disposal. Choose from a wide variety of beverages including coffee, tea or hot chocolate, freshly brewed on demand. The Autopod automatically disposes of spent pods and can store up to 25 used pods. 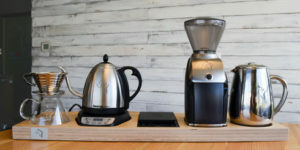 The brewer’s low profile (under 44cm), large-capacity drip tray and integrated cup booster for travel mugs add to its appeal for use anywhere you need a cup of coffee, tea or other hot beverages. 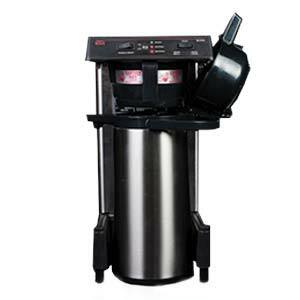 Be sure to also check out our Bean-to-Cup Brewers and Brewer/Grinder Combos. 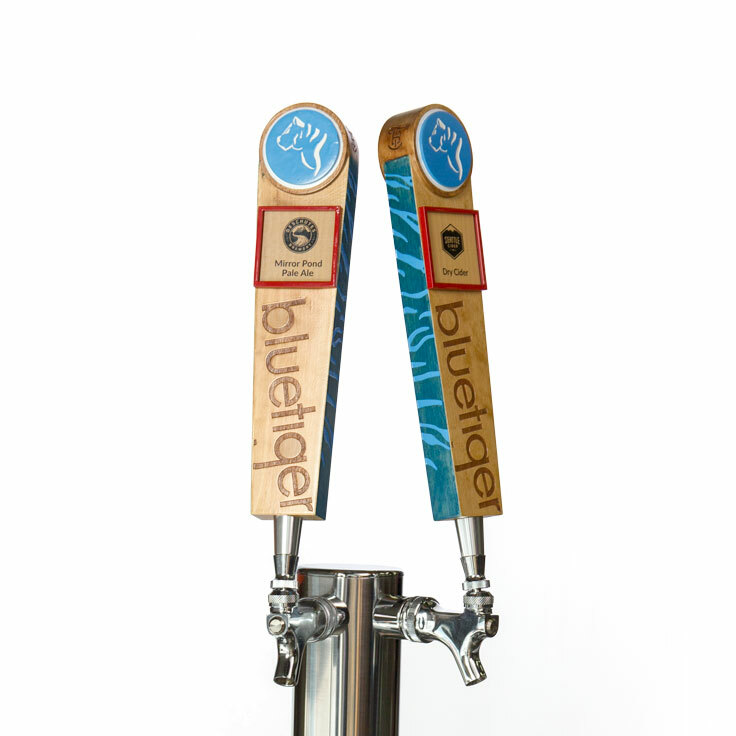 Blue Tiger's commercial grade kegerator program has been carefully designed for the workplace. The kegerator itself holds up beautifully under heavy break room use. The fittings are carefully selected to work with cold brew coffee, which can corrode normal fittings. The units are cleaned and maintained on a regular schedule by your Blue Tiger team. 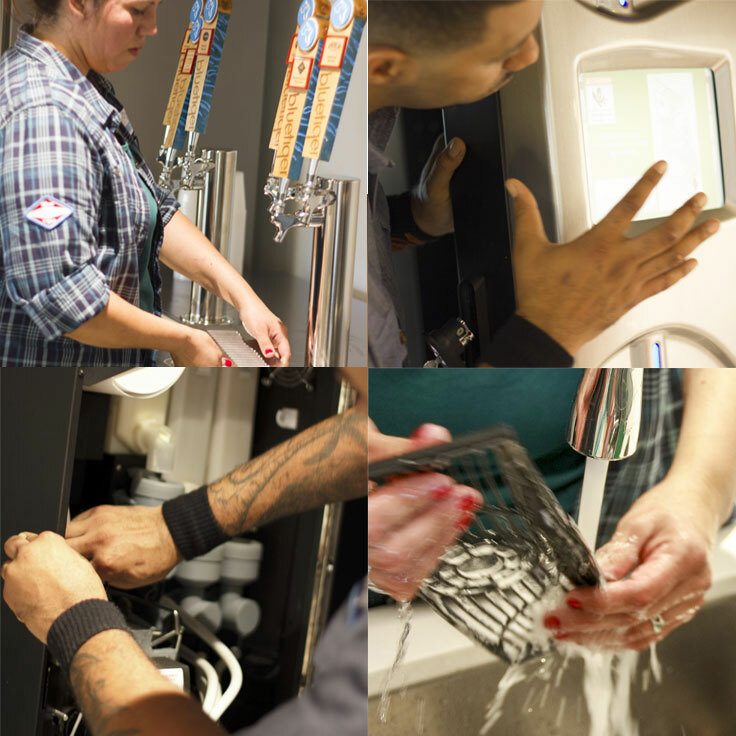 Visit our kegerator page to learn more about our kegerator program, and the delicious on-tap beverages we deliver. 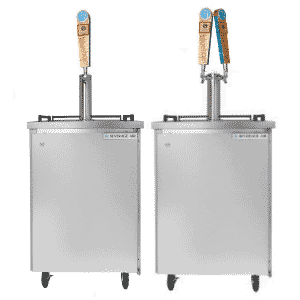 The BM-23 is a beautiful and easy to clean stainless steel kegerator that provides perfectly balanced beverages every time. Comes in a single and double tap option. Filtration removes the unwanted contaminants and additives that can be found in today’s municipal or well water supply. UV purification takes things one step further by ridding your water of 99.9% of bacteria. 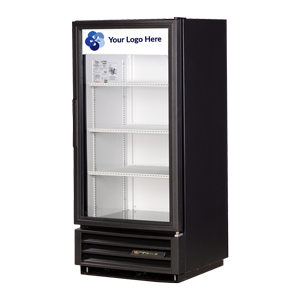 We have a variety of models and options to meet your needs, without the hassle of 5 gallon bottles. 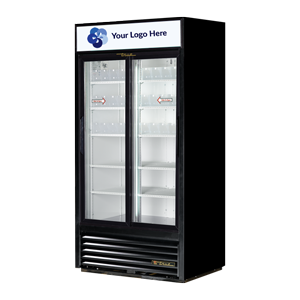 Most water coolers are available in a counter top or floor model. Please inquire for details on availability. 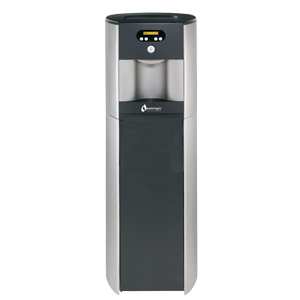 A high performance, compact countertop water cooler that offers filtration and purification. 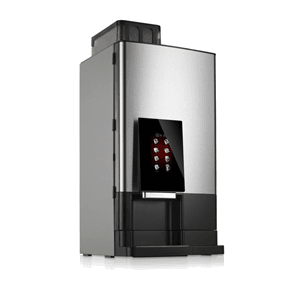 The Waterlogic 350 brings Firewall water purification to your office in a compact design. 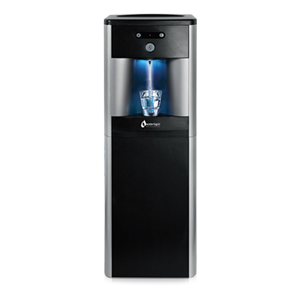 Provide the best in water quality with high performance filtration and Firewall ultraviolet technology that purifies water to 99.9999% bacteria free. 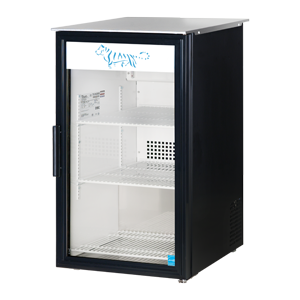 Premium Ice and Water Cooler. 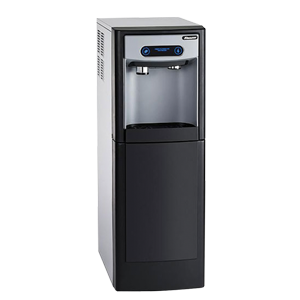 This combination ice and water dispenser is perfect for any break room. 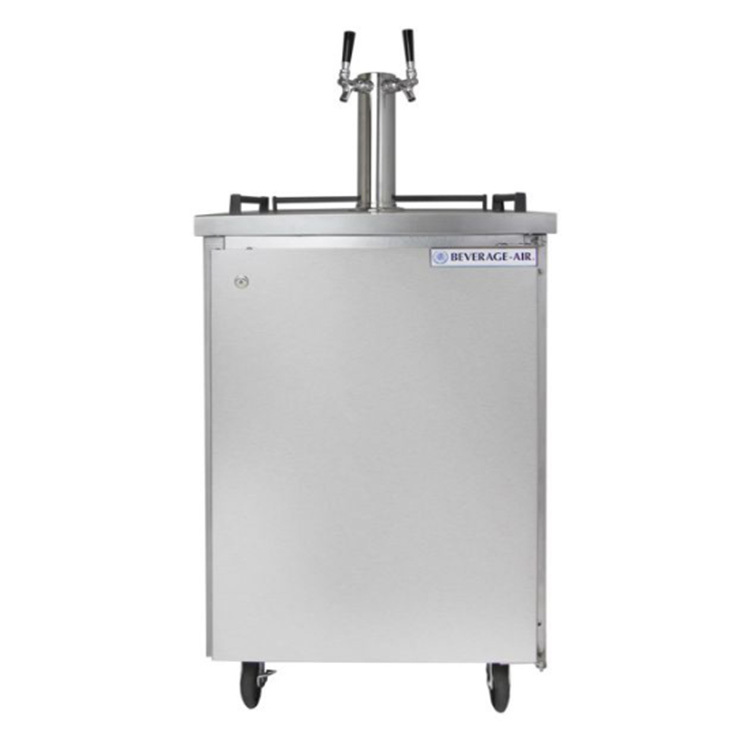 With no need for messy scoops or drains this is a clean, mean, ice making machine! Its space-saving design, modern stainless steel exterior, and soft blue LED lights will complement any workspace. 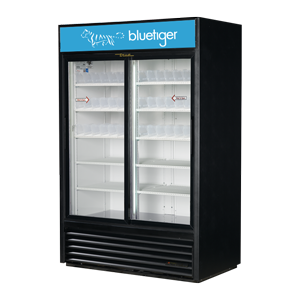 Blue Tiger's established maintenance program ensures less service calls.